Results of a good dive and glass hunting. One of my best finds thus far. The result of a good day of diving, and sea glass hunting. This photo was taken in Okinawa, Japan, after a day of hunting on a beach we come to call glass beach, near Camp Schwab. After our dive trip on the same day, I had to set this picture up just the way I pictured it when finding the clam shell on the bottom of the ocean. 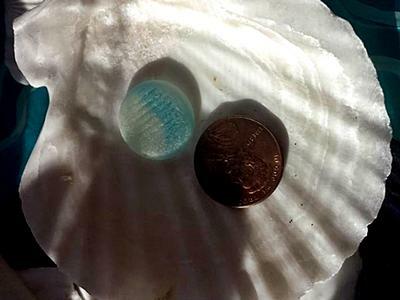 The glass in the picture is what was found on the same day of the dive. I was so excited when I found a yellow marble and especially the red bottle neck. This is what keeps me going back. I took this photo inside my house using the natural sunlight coming through the bedroom window. 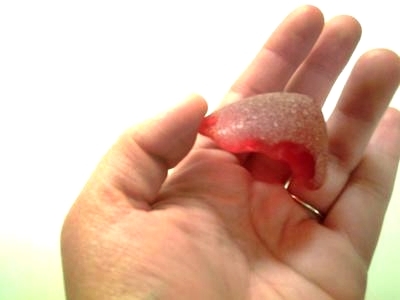 The picture was taken with the glass pieces placed onto the bottom of a glass jar. 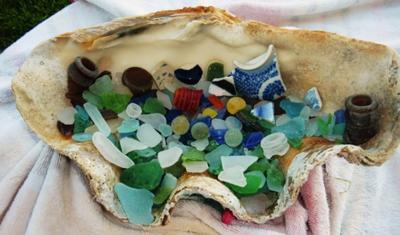 I wanted to capture the joy of why I spend many hours on the beach - finding those rare pieces to show all. I took the picture using aI took this photo on 31 August 2011, in the afternoon at around sun set 1815 (6:15 p.m.), using my digital Casio camera . Okinawa, for many years under US control, was returned to Japan around 40 years ago. 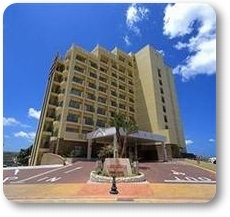 The southernmost prefecture of Japan, Okinawa is an island group familiar to many thousands of US servicemen and their families as well as other Americans who have lived and continue living there. Of the approximately 50,000 US servicement stationed in Japan in the past few years, about 1/2 of them have been stationed on Okinawa. Camp Schwab, although not found on a Google map, is in the Northeastern part of Okinawa. 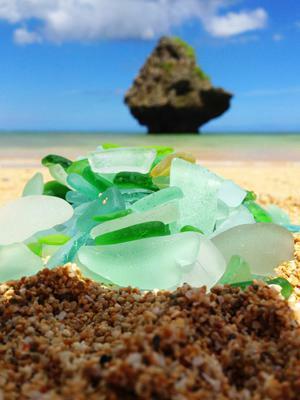 Okinawa itself is a beautiful island with hundreds of miles of beaches. Although many of its beaches lie within the protection of coral reefs and don't get a lot of wave action, there are still a number of beaches that do receive continuous waves and are in areas heavily populated for many years. 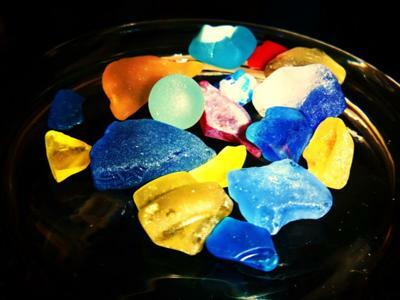 the possibilities for really good sea glass hunting are enticing. 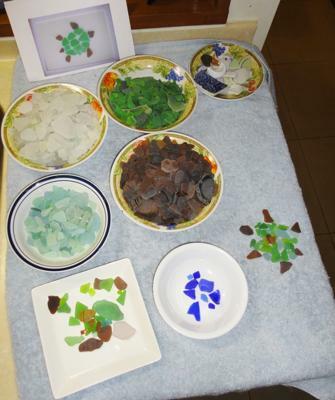 This submission shows what treasures the island is giving up, and leaves clues to amount of unfound sea glass gem along Okinawa's coast. ~ Added by David from Odyssey Sea Glass's Pacific Rim temporary suboffices. I love the way you display your find. Great collection of bits and pieces.